The European Commission reports there are over 13,000 applications for Wifi4EU, coming in from municipalities of the various EU member states. 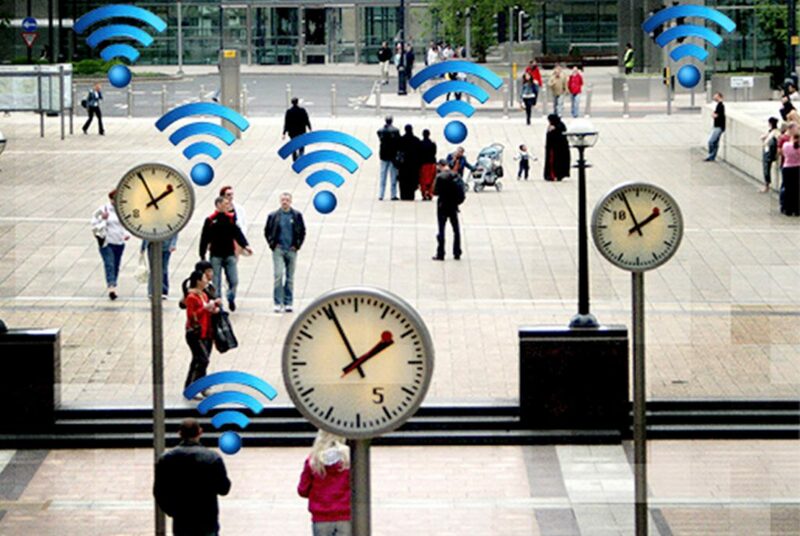 This project should lead to free Wi-Fi hotspots in public spaces. The installation of these Wi-Fi hotspots must be carried out by installation companies that have registered on the WiFi4EU portal site. In total there are 13,198 applications from various municipalities from EU member states. These are the result of a first application round for Wifi4EU which was very successful, according to the Commission. The application round ran from November 7th – Novembet 9th and within 10 seconds more than 4000 municipalities had registered. A budget of 42 million euros is available for this first registration round. The Commission says that based on this budget, 2800 municipalities will receive vouchers of 15,000 euros. This money must be spent to install Wi-Fi hotspots in public areas, such as town halls, libraries, museums or parks. PFM Footfall Intelligence is one of the registered Wi-Fi installation companies on the portal and we are very happy to help you install Wi-Fi hotspots in your municipality. In December the Commission will announce which 2800 municipalities will receive the vouchers. Are you one of the municipalities receiving a voucher in December? Please contact us for the installation in your municipality via sales.uk@pfm-intelligence.com.